A Statistical Report on Civilian Casualties and Destruction of Property by the Israeli Occupation Forces between 7 July and 26 August 2014"
The statistics presented in this report reflect the unprecedented number of casualties and material damage inflicted on Palestinian civilians and their property, including civilian infrastructure, during the Israeli military OPE assault on the Gaza Strip in 2014. 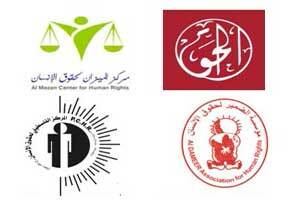 The four human rights organizations strongly condemn the IOF’s continued, grave and systematic violations of international law in the Gaza Strip, including its ongoing closure/blockade, which constitute a form of unlawful collective punishment. The four human rights organizations condemn Israel’s continued policy of complete impunity that has encouraged its military forces to commit grave breaches of the rules of international law. The four human rights organizations call on the international community to assume its moral and legal obligations by taking action to bring the unlawful eight-year closure/blockade of the Gaza Strip to a swift end and to ensure the swift reconstruction of the devastated Strip. The four organizations also call on the international community to support independent and credible investigations into the violations of human rights and IHL in the Gaza Strip by the UN and the ICC.